We know that there are so many unhappy stories in animal rescue, but we thought that we would start sharing some happy ones, which we are calling "Happy Tails". 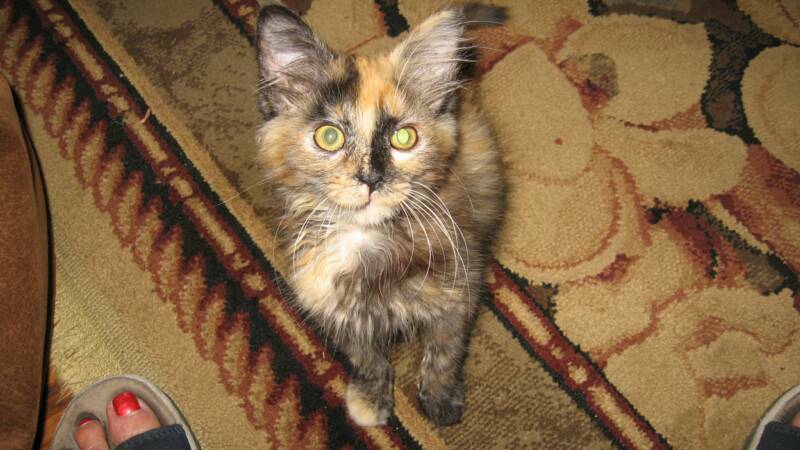 We were contacted by a lovely couple (Chuck & Virginia) who had just lost their beautiful long-haired tortie, Autumn. 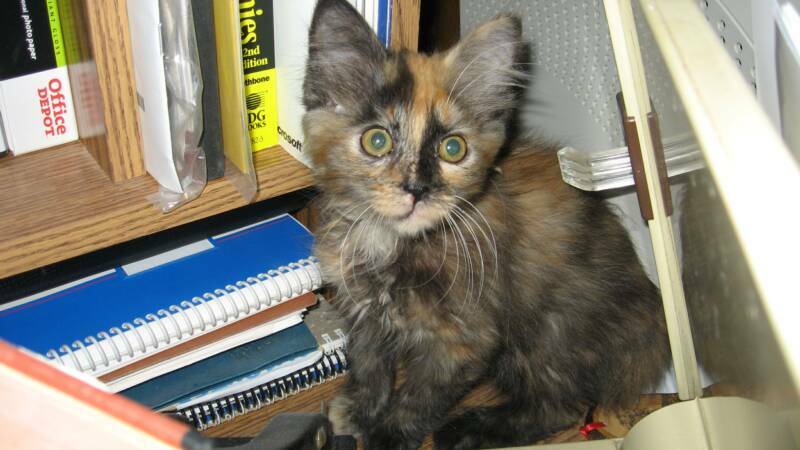 They were looking for another long-haired tortie, not to replace Autumn, but as an addition to their family. Save A Kitty is part of Los Angeles Animal Services New Hope Program. We receive daily bulletins of so many beautiful kitties (and dogs) and we wish we could save them all. However, just hours before she was scheduled to be euthanized, we were able to bail out Tori. When we saw her picture, we knew that this beautiful kitty was a perfect match for Chuck & Virginia. When we forwarded her picture, they immediately knew that they wanted her. Although they live in Ventura County, they were happy to meet us at the East Valley Shelter that same day. It was love at first sight!!! We are delighted to say that Tori, as you can see, has ensconced herself in her beautiful new home and her new adoptive parents are head-over-heels in love with her. We were so happy to have been able to this for Tori, Chuck, and Virginia. This sweet 5-year-old girl was hit by a car around Thanksgiving 2011. She was scooped up by a passersby and taken to the Castaic Shelter. 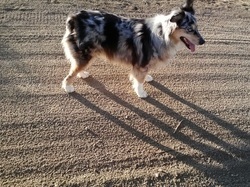 Her owners picked her up and were told by the shelter that Blue would need surgery on both hind legs. This family has been in trouble with Animal Control on numerous occasions for animal neglect. Blue's family live close to the Save A Kitty ranch. We saw Blue limping badly, her bandage was rotting, and her leg had a horrific odor. We learned that she had not been seen by a vet since the accident. I took Blue to my vet where they discovered maggots in her leg! Initially, they thought that they would have to amputate her right leg. Blue is now the subject of an animal cruelty case against this family. Save A Kitty was initially awarded temporarily custody of her and we have legally adopted her. Blue was seen by a specialist, Dr. Raviv Balfour, at Animal Surgical and Emergency Center (ASEC) on Sepulveda Boulevard in Los Angeles. Her surgery was performed this pas February and was a huge success. Today, Blue runs and plays and is a joy to everyone who meets her. Blue has had her surgery and it was a complete success. Today, she runs and plays and is a joy to everyone who meets her. We are delighted with the amazing care that she received by Dr. Balfour at Animal Surgical and Emergency Center. 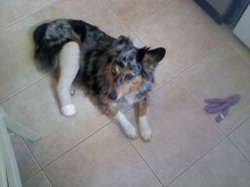 Many, many thanks to everybody who helped save Blue's leg!! !